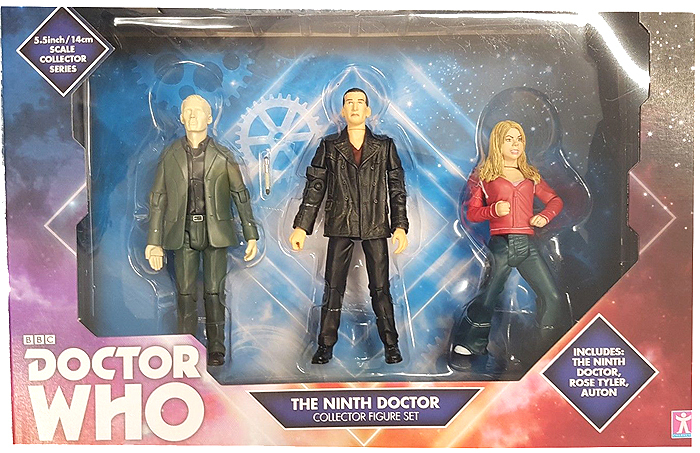 All three variant figures feature revised paint applications. 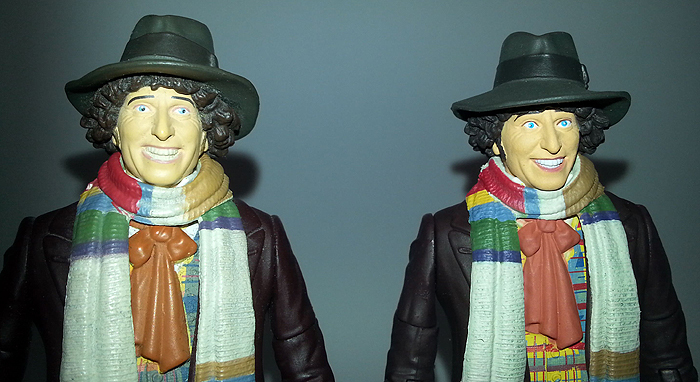 The Fourth Doctor, as seen in Pyramids of Mars, has a browner (deeper purple) coat and darker cravat. 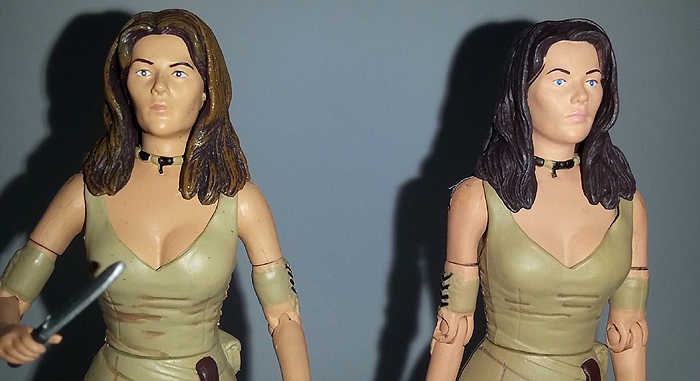 Leela has darker hair, bluer eyes, paler flesh tones and an unpainted wristband. 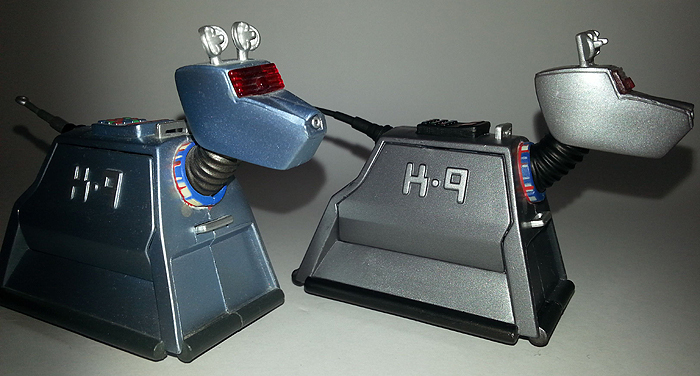 K9 Mk 1 is a darker silver and has a painted side panel. 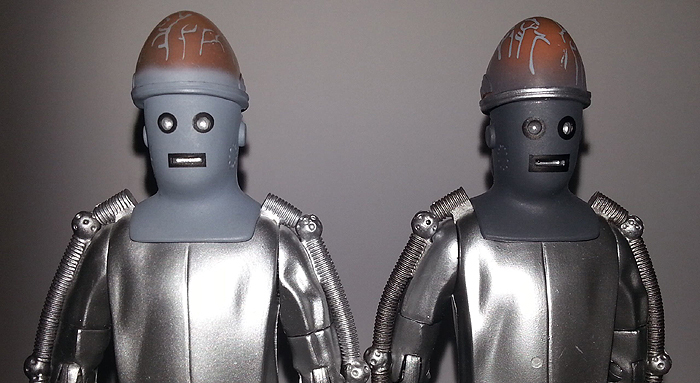 The Cyber Controller, Tomb of the Cyberman (1967), originally released in the BAF wave, has a darker head, lighter boots, and a silver helmet band. 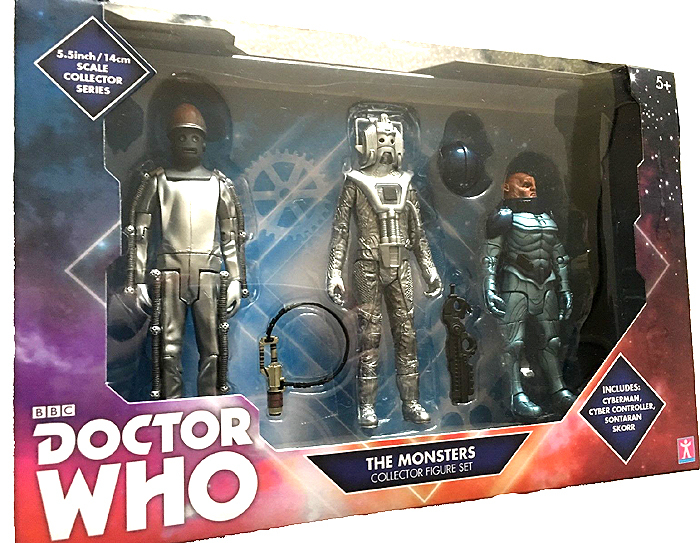 Cyberman, Attack of the Cybermen (1985) has new boots, a revised silver colour and different paint application on the gun. 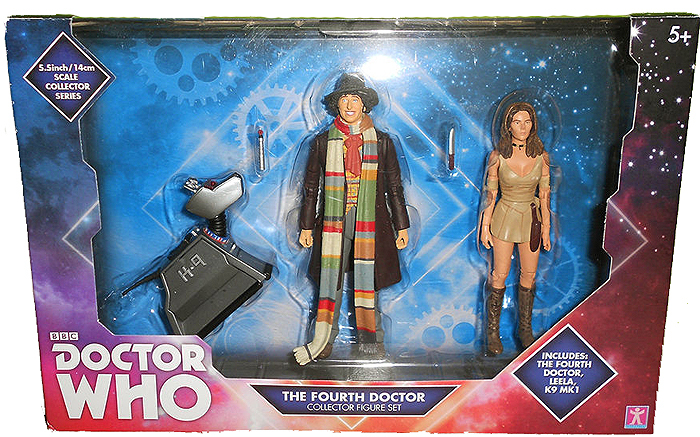 Sontaran Skorr, with a 'metallic' finish and black gun, can be found in two versions - three star Commander or five star General (see blue neck band).